Please note: we don’t take bookings - just turn up! We're the younger sibling of the Green Park Brasserie (best independent restaurant in Bath winner), so our customers are very welcome to enjoy their wood fired pizza under the Victorian station canopy, or to sit inside the Brasserie*. The Brasserie has a very well stocked bar & an impressive wine list so you can make the most of both menus - whatever takes your fancy. *Unfortunately we are unable to serve pizzas inside the Brasserie on Friday and Saturday nights. 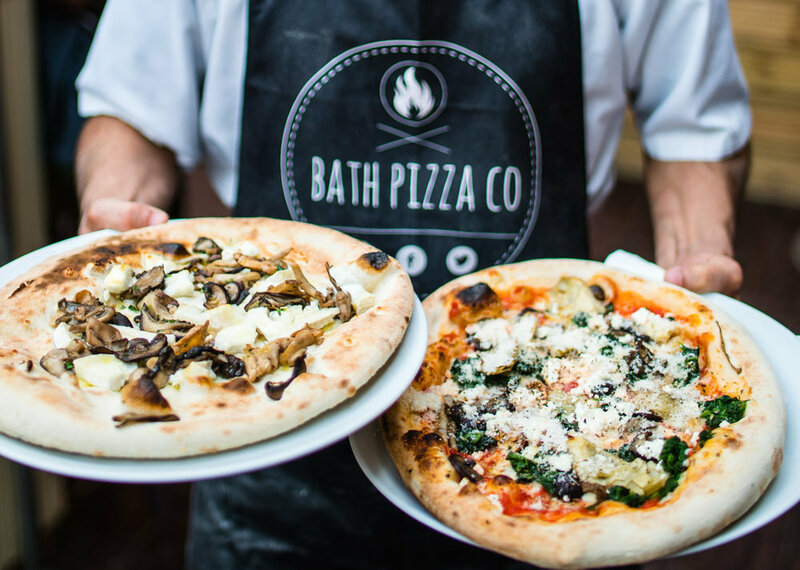 Order pizza to your doorstep with a little help from our friends at Deliveroo, Bath. 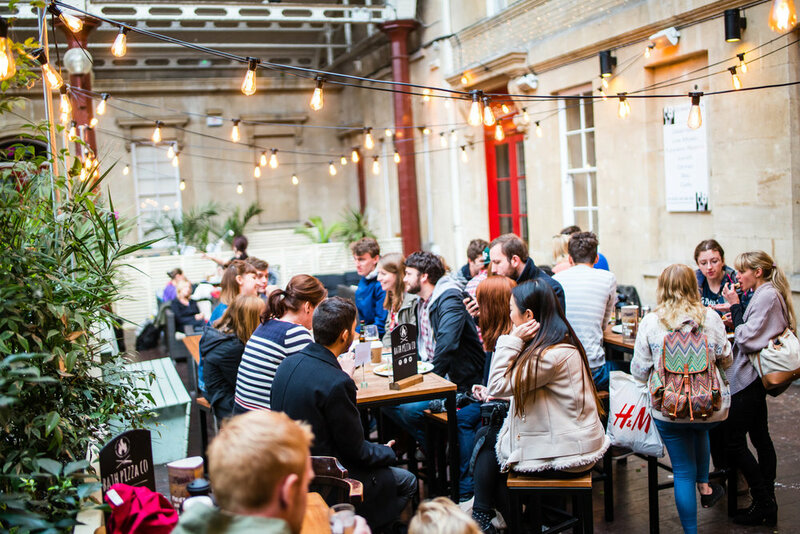 Perfect for lunches out, evening drinks or large scale socials and parties in Bath. Make the most of our £5, £10 or £12.50 deal. Share your pizza pics for the chance to win free pizza each month!